ZAMBOANGA CITY, Philippines (Mindanao Examiner / Mar. 10, 2011) – Two persons were wounded in separate highway attacks before dawn Thursday in Zamboanga City in the southern Philippines. Gunmen ambushed a commuter bus near the village of Marangan at around 1:30 a.m. wounding one passenger. They also attacked another truck transporting cattle several minutes later and injuring the driver. “My sister who was among the passengers was wounded in the strafing. 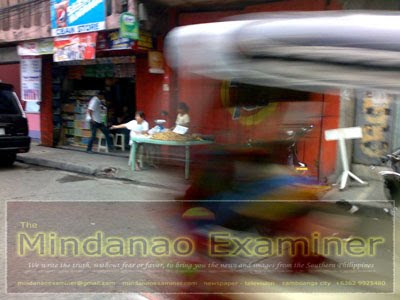 We were fired upon as the bus was passing the village and I continued driving away from the area despite a burst tire,” bus driver Rolando Castillo told the Radio Mindanao Network. He said they sought help at an army post in the nearby village of Muti, but it was empty, and they were forced to abandon the bus and walked to the next village where they reported the attack to the police. Castillo said the bus came from Pagadian City in Zamboanga del Sur province. He said two marshals who were escorting the bus, owned by Rural Transit of Mindanao, have disembarked in the village of Vitali where they are headquartered. Police said the driver of the ambushed truck was hit in the leg, but his wound is not life-threatening. The truck was on its way to Pagadian City to deliver the animals.